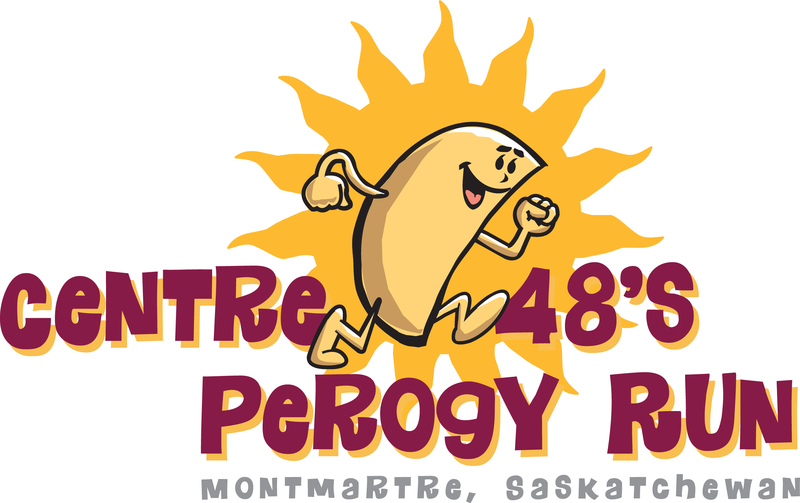 Thank you for sign up for our 16th Annual Perogy Run on Saturday May 26th, in Montmartre, SK. Registration begins at 08:30am at Sacred Heart Parish, located on 1st Avenue E., where there will be homemade cinnamon Buns and coffee available. We will have a 1Km Kids Fun Run which starts at 10am, and the big race will start right after this. Right after the race *11:45am ish* we will be having a homemade Perogy and ham lunch. The wonderful reward after all your hard work. Door prizes will follow. We will also have T-Shirts available for purchase at $15.00 / shirt. If you have some fans coming to cheer you on they can purchase lunc as well: $10 adults, $5 age 6-12, Free age 5 and under. 10km Walk/Run : Saturday May 26, 2018 @ 10:00 A.M.
5km Walk/Run : Saturday May 26, 2018 @ 10:00 A.M.
1km Kids Run : Saturday May 26, 2018 @ 10:00 A.M.